When he was 18, Dr. Christopher Caliri got hurt playing hockey. After weeks of pain in his low back and leg, he decided to see a chiropractor, who helped him get relief. Dr. Caliri liked how an adjustment felt and became interested in learning more about this natural form of health care. He stayed on as a patient to receive wellness care. Dr. Caliri’s chiropractor mentored him and guided him on what he needed to do to become a chiropractor. 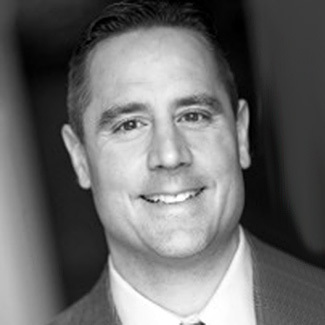 After earning a bachelor’s degree from Quinnipiac College in Hamden, Connecticut, Dr. Caliri went on to receive his Doctor of Chiropractic from National College of Chiropractic in Lombard, Illinois. While there he especially enjoyed the extensive studies of anatomy and learning more about the human body. For Dr. Caliri, taking a holistic approach to caring for patients has always been gratifying. He enjoys the fact that no drugs are used in chiropractic care, and it can help to prevent surgery. Well-versed in a broad array of techniques, he is able to provide Warwick patients of all ages with personalized care to best meet their needs. Outside the practice, Dr. Caliri leads an active life. He loves spending time with his wife Angela, who is also a chiropractor, and their three daughters: Ana, Rosa and Celia. Still passionate about hockey, he plays in two leagues. Committed to maintaining a healthy lifestyle, he also skis, plays tennis and does yoga and weight training. He is a member of the Chiropractic Society of Rhode Island and the International Chiropractic Pediatric Association (ICPA). Experience natural health care by booking an appointment with Dr. Caliri at Apponaug Chiropractic Center.